Who are Academy stars who won World Cup for England? 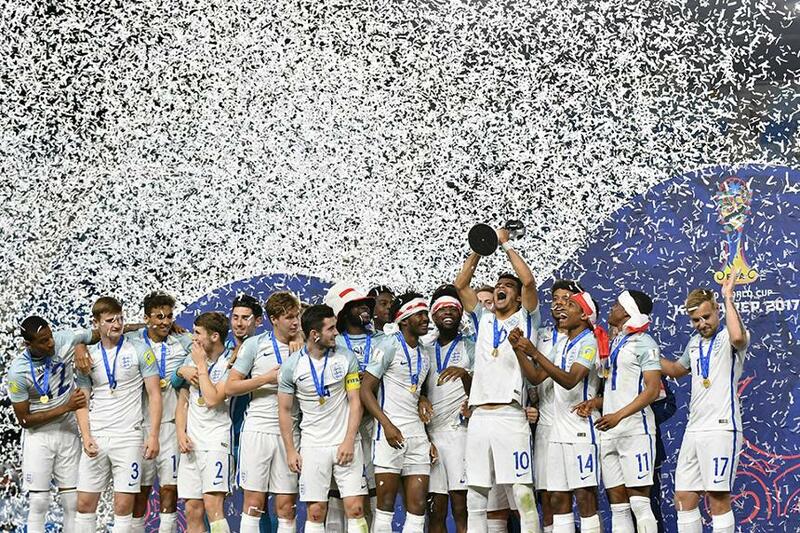 Prior to England's FIFA Under-20 World Cup final victory over Venezuela on Sunday, we took a look at the players who have come up mainly through Premier League academies to help the Three Lions reach their first World Cup final since 1966. Started at Crystal Palace, before moving to Newcastle and has made 11 PL2 appearances. Was on loan at Kilmarnock in the Scottish Premiership last season. Moved to Man Utd aged 14 and has made three PL2 appearances. He was on loan at League Two club Grimsby Town in 2016/17 before being recalled in February. Has yet to play for the first team, but has featured 11 times in PL2. Versatile defender played a key role for this season's PL2 champions and also made two senior Premier League appearances. Scouted by Boro when he was seven years old, Fry spent a period of last season on loan at Rotherham United and also made six PL2 appearances. Progressed through the Chelsea academy, winning back-to-back FA Youth Cups. After being handed a senior debut at the end of 2015/16 he helped Brighton gain promotion to the PL during a loan spell in 2017. Joined at eight years of age and made his PL debut against Aston Villa in 2016. Has made three PL2 appearances. Capable of playing on either side of the defence, the full-back made 15 PL2 appearances last season. Age 19; Apps 94; Goals 21. Made his senior PL bow as a second-half substitute against Southampton in 2016 and has made 12 PL2 appearances. Scored twice on his Wigan Athletic debut after joining on loan in January 2017. Able to play in either defence or midfield, Maitland-Niles made his Arsenal debut aged 17 in the UEFA Champions League and has made two senior PL appearances. 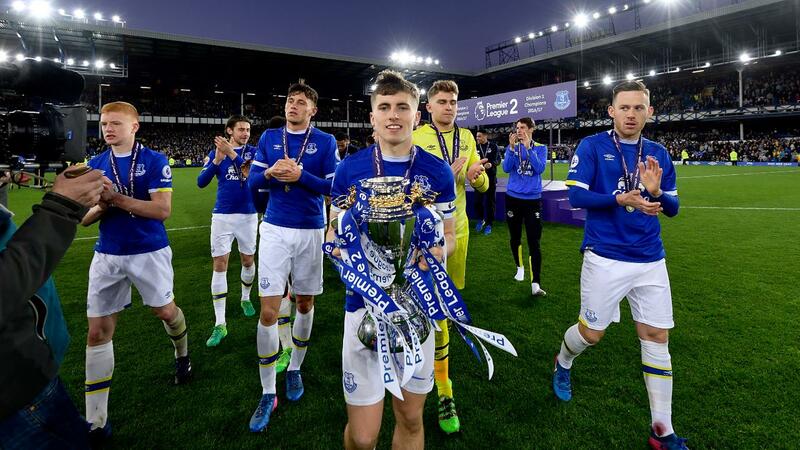 A skilful player, Dowell joined the Everton academy aged seven and helped his side secure the Premier League 2 title last season. He has made two senior PL appearances. Named Football League Young Player of the Year in 2015/16 with Leeds United before joining AFC Bournemouth, but injuries restricted him to six senior PL outings. An academy graduate, Onomah has played 13 PL matches under Mauricio Pochettino and regularly features in Spurs' first-team squad. After nine years at Arsenal, Ejara moved to Anfield in 2014. His full debut came in the EFL Cup and he has since made two PL appearances. The academy graduate has made eight senior PL appearances for the Reds after joining from MK Dons aged 14. Joining from Charlton Athletic in January 2017, Lookman scored on his PL debut against Manchester City and has played eight times in the top flight. Joined the club aged nine, making 15 PL appearances and playing one PL2 match. Has had successful loans at Coventry City and Barnsley. Tournament's top scorer with four goals. The Chelsea academy graduate spent 2015/16 on loan at Vitesse Arnhem. He will be moving to Liverpool on 1 July. Beginning his career at Sheffield United, he moved to Goodison Park in August 2016 and has scored once in 11 senior PL appearances in 2016/17. The Hartlepool-born attacker spent last season on loan at Sheffield United after helping Barnsley win the Football League Trophy and the League One play-off final in 2015/16.